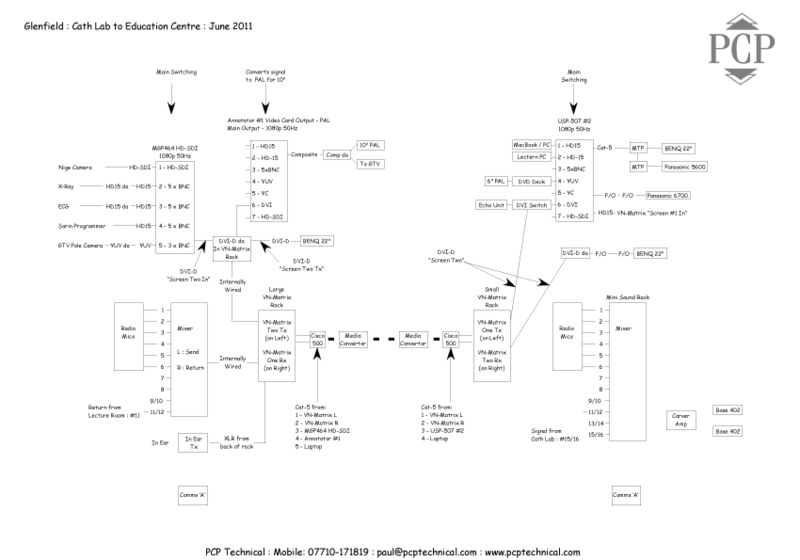 PCPtechnical has been providing medical links from operating theatres to presentation rooms since 2003. Signals from sources such as echo, fluoroscopy and ECG are switched with camera sources to provide clear and meaningful pictures in the presentation room. The transmitted signal can be switched between full screen images or a combination of smaller images as appropriate during the procedure. Working at the full High Definition resolution of 1920 x 1080 pixels the mixed signal can be recorded at 1080p onto digital media, sent via satellite to any part of the world and transmitted via the hospital IP network to provide excellent on screen quality. Two way audio enables the surgeons to have a live discussion with the facilitator, faculty or audience in the presentation room. 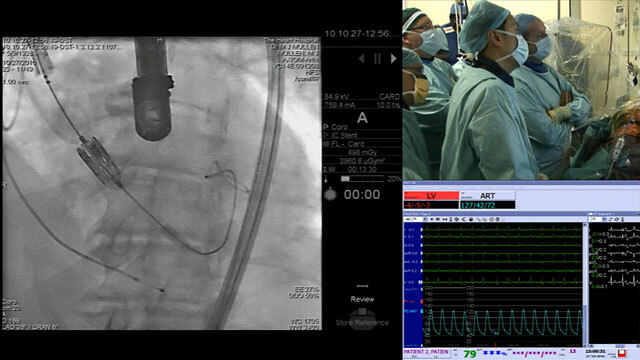 Advanced echo cancelling, in ear monitoring and radio mics makes this an excellent system for the surgeons. 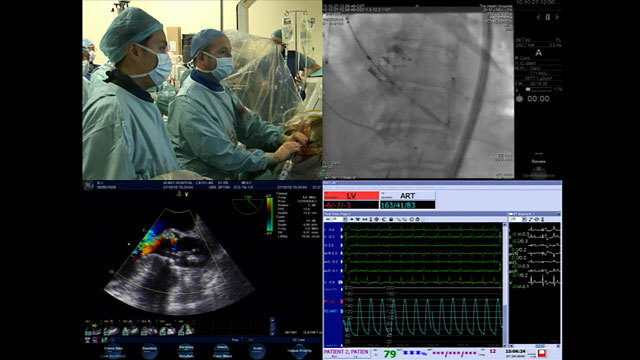 In 2009 the satellite link between St.Thomas' Hospital and the Advanced Cardiovascular Intervention Conference at the London Metropole Hotel was the first time the audience had seen a four way split showing the different views the surgeons see, live. This was done at standard definition 4:3 to match the technical requirements at the conference. This would usually be done at 16:9 and at full HD. Links are completely digital from source to display ensuring no loss of quality. Links can be at any resolution, but usually a single screen of 1920 x 1080 HD so it can also be recorded or two separate 1024 x 768 screens side-by-side when there is not enough vertical height in the presentation room. 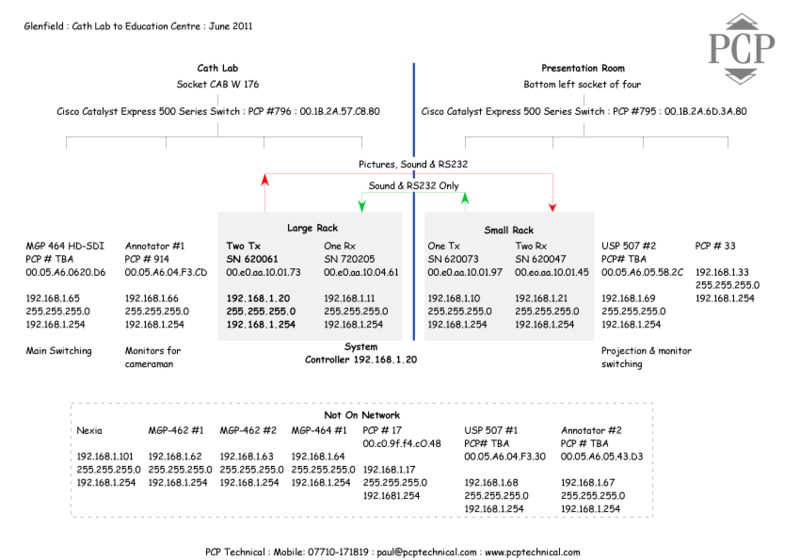 In addition to the links PCPtechnical can record procedures and provide them as edited programs. 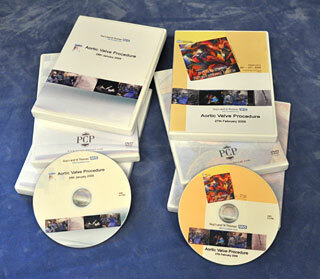 These can be supplied as DVDs, high res files for presentations, low res files for use online, and as clips ready to embed within presentations. Medical links are thoroughly planned and the network links are tested in advance. 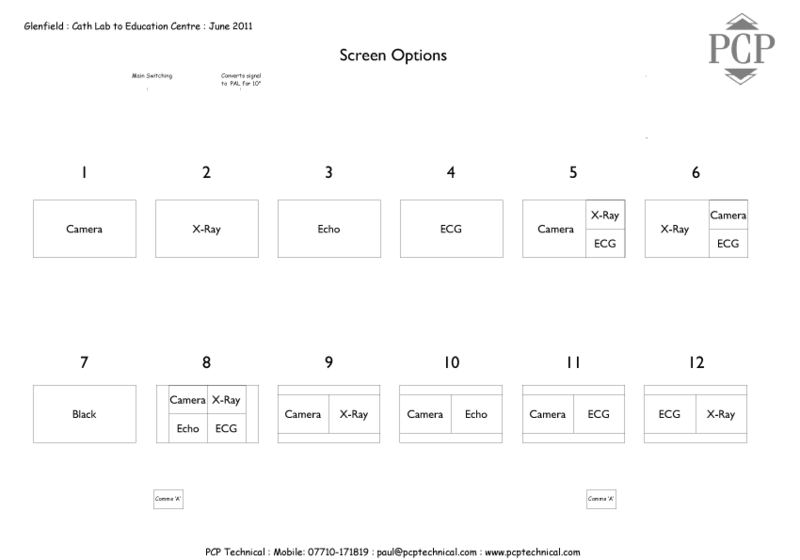 Screen options are pre-programmed and can be recalled when requested by the surgeon, facilitator, or show caller.